News from LMCU: Tax time is here! 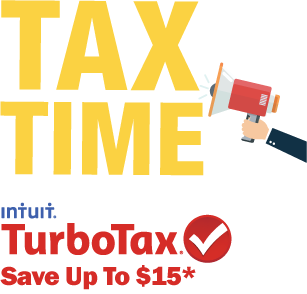 This year LMCU members can save up to $15* on TurboTax® federal products. Save $5 on the Deluxe Edition, $10 on the Premier Edition and $15 on the Home and Business Edition. TurboTax translates taxes into simple questions about your life, so you don’t need tax knowledge – or an appointment – to get your taxes done right. TurboTax SmartLook™. You’re never alone. Connect with an expert live, on-screen to get answers when you need them. Save on TurboTax by clicking the link on LMCU.org today!